Background: Individual with morbid obesity and type 2 diabetes benefits from weight loss, as this allows better glycemic control and modifies the coexisting risk factors for coronary heart disease, namely hypertension, dyslipidemia, insulin resistance, sleep apnea, and other comorbidities that constitute the metabolic syndrome. 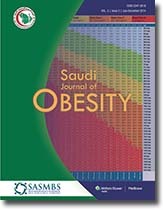 Aims: The purposes of the present study were to investigate whether weight loss after bariatric surgery can correct glycemic control and reduces the need of antidiabetic treatment in morbidly obese patient with type 2 diabetes, and whether sleeve gastrectomy or gastric bypass is associated with better control. Settings and Design: This study was performed in Sri Aurobindo Medical College, Indore, India. Sampling taken was nonrandom and purposive. Subjects and Methods: Forty patients with diabetes type-2 and body mass index (BMI) >35 (20 of which undergone sleeve gastrectomy and other 20 undergone gastric bypass) were enrolled in study, all these patient had undergone bariatric surgery. Their obesity status in terms of height, weight and BMI, Glycemic status and glycosylated hemoglobin (HbA1c), and treatment status in terms of oral hypoglycemic agents and insulin were noted in details preoperatively. Qualitative variables were tested using Chi-square test and P values were calculated between two groups. P ≤0.05 was considered statistically significant. 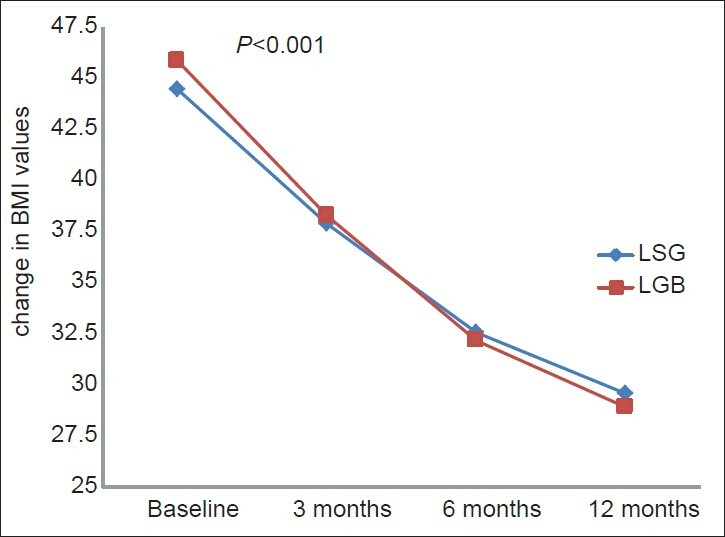 Results: This study showed good control of glycemic status with mean HbA1c within desired level after 6 months of bariatric surgery, while gastric bypass surgery was associated with better glycemic control and weight loss. Conclusions: This study showed that the bariatric surgery was an effective option for morbidly obese patients with type 2 diabetes mellitus. Gastric bypass surgery was associated with better diabetic control and weight loss than sleeve gastrectomy. Five A's technique was first used for smoking cessation. Later on this approach was practiced by health professional to manage obese patients. The objective of this paper is to demonstrate how to manage obese patient by using five A's approach based on clinical scenario.